Welcome to The Fitness Files, UNC-TV’s new effort to encourage people to eat healthier and engage in more physical activity. #1 - We wanted to give you something to do after or even while you’re watching your favorite UNC-TV programs. #2 – Our producer Derek Long has hiked, biked, paddled and run his away around the state for UNC-TV’s North Carolina Weekend. He realized that you’ve got to be fit to enjoy all that the state has to offer. #3–We talked to lots of folks whose job it is to help people eat healthier and exercise more..and no one turned us away. In fact, they offered to help. #4 – In fact, everyone we talked to was excited about UNC-TV making health and fitness a programmatic priority. We like it when people get excited about what we do. #5 – We want to support and encourage your continued efforts to find your fit. Whether you’ve made New Year’s resolutions, have a goal to lose weight for a special event, or health reasons or want to live healthier not just longer, The Fitness Files will be here to help and inspire you. 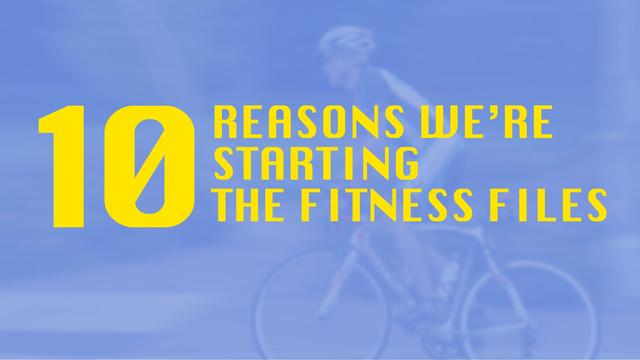 #6– We want to have conversation about health and fitness with you. We’re not your parents, so talk back to us. Tell us your stories about finding your fit, healthy eating or anything fitness related via UNC-TV’s Facebook page. If you have something of interest to tell us or a pic to send, just look for the email icon on this page. #7 - Because we can..and we should. UNC-TV’s has always been committed to lifelong learning. #8 – North Carolina is not #1 in the nation for overall health. We’re not even close. Just last month, America’ s Health Rankings issued its 25th annual snapshot of our country’s overall health and wellness picture, and North Carolina ranked #37th - down from 35th in 2012. #10 – It’s our state and our health. You, us, everybody is in this together. Healthy changes can start at the individual level with the choices you make and spread throughout our families and communities. If UNC-TV can provide you with the information you need to eat healthier and be more physically active, in way that’s fun and interesting, our hope is that you’ll find your fit, share your stories with us, and stay tuned in and in touch UNC-TV. Our state’s health is everyone’s responsibility. So get with it!